Custom made waterproof covers.. "Probably the best in the World"
Throwback to Christmas 2015, a very well known brand created a 27ft Christmas tree which dispensed free Beer, situated at The Observation Point in London (Southbank)- and we just couldn’t miss out on the festivities. The event was magnificent, and the first 100 visitors were even given glass blown “beerbles”- which could be hung on the tree, as well as filled with a cold brew to drink from. As amazing and seamless as it was, what the public probably didn’t realise was the amount of planning and work that went on in the background to create the atmosphere and overall look; and we [Kover-it] are honoured and proud to have had a secret part within the background. Can you work out what it was? It is not everyday that we are manufacturing Custom made covers for public benches, but the bespoke sign printed covers were certainly a well thought out finishing touch to the brand’s promo event. When we were first approached by a marketing events planner (not directly linked to the actual brand), they showed us a CAD image of what they wanted to achieve, and whilst we helped tweak a few design aspects, we were very pleased and astonished to see the final products actually surpassing expectations. 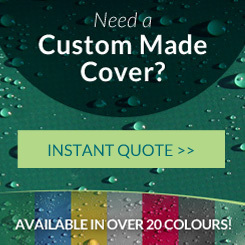 Much of what we do at Kover-it is specialising in long-lasting outdoor cover protection, and when we are first given an item to cover, we aim to give the custom cover the best shape to fit the item, as well as help aid water drainage. For most bench covers we would Therefore slope the cover from the back down to the front, so that water can easily drain off of the cover, as well as allowing some airflow beneath. However, we do often manufacture covers where the cover has a slightly different purpose; In this instance with these public bench covers, we manufactured the waterproof covers with the sole purpose of covering up the ugly old benches, whilst also keeping them accessible to the public. They also aided in branding, as the Green PVC covers closely matched their shade of green, and the white block printing stood out massively. Cosmetically, the waterproof custom made covers for the public event transformed The Observation Point, and having covers made for promotional events is actually quite an unexplored idea, but with massive potential; as lots of campaigns or promo events are often held in public places, and covering old public benches has proven to be very visually and practically successful. We thought if the specific company wanted to go even further with owning the space, they could’ve covered the silver bins to transform them into lager cans- but perhaps that would’ve stolen too much attention away from the Christmas tree! When we first visited The Observation Point along Southbank to measure up the benches, we were shocked at how extremely windy the area was by the Thames River, and so what you cannot see in the images, are 3 strong adjustable straps and clips underneath the covers which inconspicuously keep the covers tight against the benches themselves. You would also presume all public benches are made exactly the same- However, we can now confidently promise that this is definitely not the case, in fact what many people do not know is that our site team measured and took templates of all 8 benches at the Observation Point, as all sorts of measurements differed between each. We even had a mock-up bench made for our workshop to work from which matched an averagely larger version of one of public benches, and as you can see it was a fantastic copy. Whilst, seemingly a bit ‘OTT’, having an actual mock-up of the item for our machinists to work from also ensured that when the cover was on it would fall correctly; This is because whilst PVC-ST is quite thick so holds a shape better than thinner materials, it is still a flexible textile and so it was very important for us to ensure the top panel of the cover did not pucker in places, or get its side curve wrong (which would result in either wrinkling or pulling as people sat on it). Whilst cosmetics and aesthetics was an important part of the waterproof bench promo covers, they also served greatly as strong long lasting covers, and whilst they may or may not be used again, they would certainly last another hundred events+, and even left out all year if wanted! (although in a public area may or may not disappear). Manufactured from PVC-ST, the cover’s smooth surface also makes each cover very hygienic, and very easy to wipe clean. The only pitfall due to the shape necessary for these benches, was in the event of rain- but whilst a wooden bench is going to stay damp and wet after rain, a quick wipe of a towel on these covers would’ve dried them in a matter of minutes. 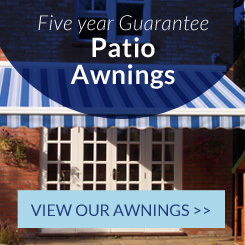 Whilst there can be a few exceptions to the above, we have been manufacturing covers for over 20 years now, so we have covered all manner of items, the majority of covers actually still going strong. So if you would like a custom made cover, we would be happy to help aid you with a cover to suit your needs and purpose. I hope you have enjoyed reading about our inspirational Christmas Project from 2015, and we look forward to sharing more projects. From everyone at Kover-it, We wish All A Very Merry Christmas! This above video is from “The Mirror”, so if you are aged 18 & over please click through and enjoy their beautiful video which was based upon the spectacular Carlsberg Christmas event. Please note “Probably the Best Covers in the World” is a used as a play-on-words in reference to the well known brand mentioned within this blog; We would not want to seem Bias.. Why not try a cover for yourself? We would like to clarify that we did not work directly for the named company/brand referred to above, but we are very happy to have helped aid them in achieving one the most spectacular events in London. Please note this is not a promotional post, and should not be used so in anyway.